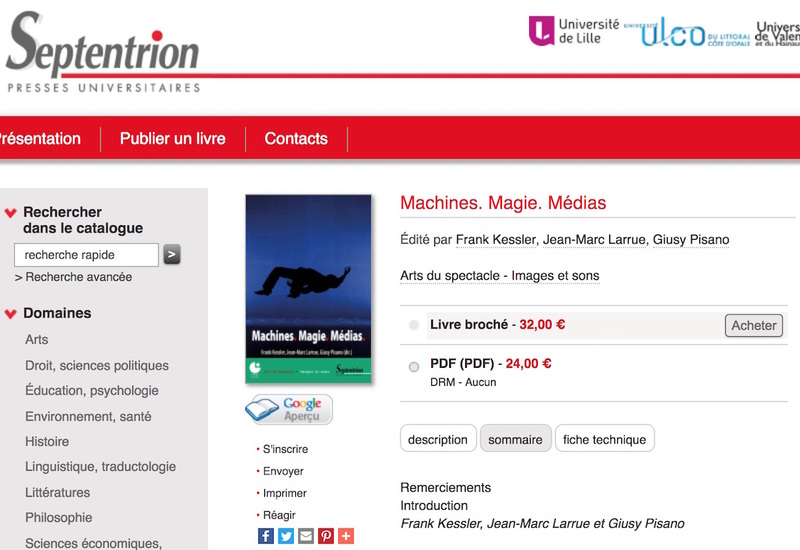 I’m delighted to see that this magic scholarship is now available for order from Septentrion Presse. The volume collects work from a diverse number of magic scholars from around the world. It includes an article that I wrote about “The Circus Card Trick,” performative language and the ethics of deception. Many thanks to Les Arts Trompeurs magic research group for this.